I’ve tried a lot of protein powder in my day, and I find it tricky to shop for due to varying serving sizes, amounts of protein per serving, pricing, and ingredients. Lately since I’ve decided to eat plant-based as much as I can, I’ve had to branch out into a new world: the world of vegan protein powders. So I thought I’d help out my fellow vegan protein shoppers by doing a full breakdown comparison of two fairly similar vegan protein powders: Vega Sport vs Garden of Life Sport. Vega Sport and Garden of Life Sport have similar serving sizes as well as similar amounts of protein per serving, but Vega Sport has a slight edge here. Amino acid profile of Vega Sport (left) and Garden of Life. Because both protein powders have the same serving size and the same amount of protein per serving, the edge when it comes to value goes to the protein with the cheaper price per gram: Garden of Life. 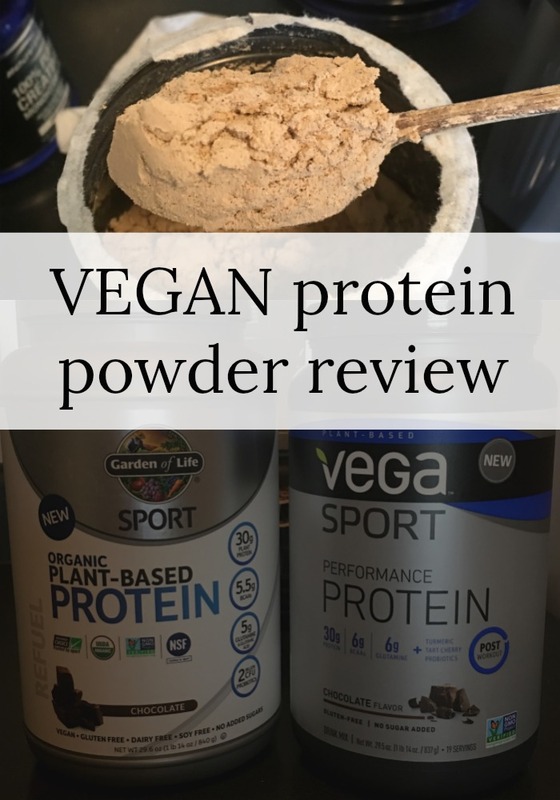 The first vegan protein powder I tried was Vega Sport. Once I ran out, I headed to the store to get more but spotted Garden of Life Sport and tried that. It wasn’t until the GOL ran out and I switched back to Vega that I realized Vega Sport has a WAY better taste. It’s creamier, chocolatier, and less gritty. My notes on texture: I bring my protein powders in a shaker to the gym along with 5g of creatine powder. After my workout, I add water and shake to combine. After mixing, the GOL protein powder develops a gross foamy layer on top, where the Vega Sport doesn’t. GOL is also grittier, and I often would find pieces of stuff (I assume coconut flakes) on my tongue. Kinda nasty. In the battle of Vega Sport vs Garden of Life Sport, I have to give the win to Vega Sport. Even though GOL is a tiny bit cheaper, the nutritional value, taste, and texture of Vega Sport are all better than those of GOL. And when I ran out of both and needed to re-up, I purchased Vega Sport. And them’s the facts! So now that you know which one’s better, go get you some Vega Sport on Amazon! 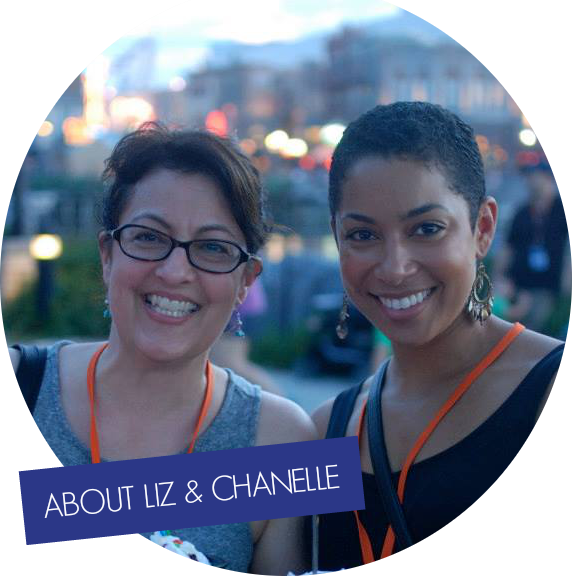 Here’s a handy shopping link (affiliate). Thanks for the review. I am trying protein powder right how through Herbal Life. Once I learned some different recipes for shakes they have been really good. I do okay with snacks and eating healthy but my most difficult time is at night because I love to snack. This looks like a great one! I grew some squash and pumpkin. I’d bake the seeds, grind them up in a coffee grinder, and add it to my protein powders. Thanks for this comparison. I’m thinking about going back to drinking smoothies. I need to know about some great protein powders. I appreciate this post. I’m pretty sure I need more protein in my diet. I’ll have to give Vega Sport a try soon! Vega is the only protein shake I have been able to use. All the rest have been too hard on my stomach. I haven’t tried protein powders. I didn’t know there’s a vegan and non-vegan. Thanks for the comparison. Thanks for sharing this helpful comparison. Shopping can be so overwhelming with all the choices out there. We go through a good bit of protein powder here. I don’t think I realized there was such a thing as vegan protein powder. We’ll have to check it out…especially if it tastes better. Thanks! Protein shakes are the fuel to kickstart the mornings. The fact that you have presented and compared vegan protein powders is very useful as we are vegetarians. I’ve been wanting to find a protein powder to incorporate into my daily diet. I recently switched to a vegetarian diet so it is definitely a high priority on my list now. Good Looking Out, Shakes are my breakfast preference weekday mornings, I am too busy for anything complicated and just don’t like a heavy breakfast before my morning commute. Is protein powder shakes included in a ketogenic diet? I’ve been thinking of trying that diet out because my friend said that it is a diet that does not believe that you should go hungry to lose weight. If protein powder shakes are allowed, then i am going to stock up on them. Thanks for the review! This is really great to know! I have some friends asking about this. Thanks for sharing! I had no clue they had vegan options for this. My mind is blown and I’m pretty excited to go get some! There is nothing worse to me than having to try a new protein powder. They’re usually costly so you don’t want to get one you hate because then you have to suffer through using it, haha. I love the honest reviews like this so I know what I’m getting beforehand. Yes! When you’re buying gigantic canisters and then it’s awful, it’s the worst feeling. I have to say, I’ve never heard of these brands. That’s probably because I don’t use protein powder but one day I might and I appreciate having the reviews so I’m ready! Thank you for this comparison! I was just talking to my husband about different protein powders and we were unsure what the best one would be since we’re both newbies to the protein powder world. We’ll be sure to pick up Vega Sport to try! It’s good to know that there’s a vegan alternative for vegans who would like to have more protein in their diets! This is really awesome! I like that you shared your experiences with both brands. I don’t really know much about protein shakes so it’s good to read posts like this to help me decide! I’d love to check out Vega Sport and see if I like it! 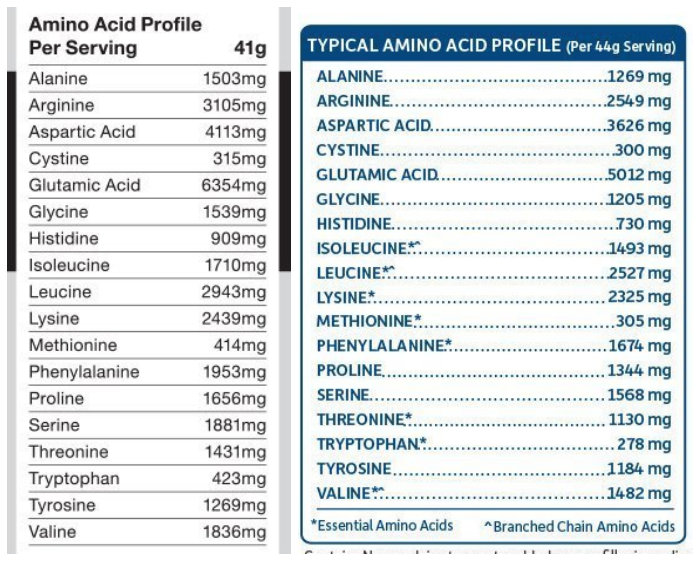 I always look for high protein numbers for our daughter, she gets migraines and the doctor mentioned protein is a huge fighter against migraines. My son is always looking for better protein powders so I will try this for him. He likes to make smoothies for breakfast and a snack. We aren’t Vegan but I will read more advantages of this over other protein powders. Cool I think I need to increase my protein intake to help with that snacky feeling at night! I need more protein in my life but never knew the difference until now. This is great tips and information. Protein powders can be so hit or miss. Thanks for sharing the review so we know which vegan protein powder is better! I’ve tried the GOL protein powder and wasn’t a huge fan of the taste. I’ve noticed that’s pretty common when it comes to the powders though and they do seem to taste better as I get used to them. I’ve not tried Vega Sport but I may need to try that next. I was doing really well with my overall health, including my weight. Protein made all the difference. I’m needing to get on track, and Vega Sport sounds like the better option. It’s always hard to know which is best because they are so similar. I appreciate you doing the legwork and figuring out which is the best bang for your buck. I haven’t tried vegan protein before, I love that there are options. Interesting to learn more about the comparison of the two, appreciate the education! I have tried a few vegan protein powders before, but not these. I definitely appreciate the comparison too. It is so interesting that two vegan proteins are not the same. Glad you shared the differences so that it can help guide others to which one will be the best possible option for them. There are so many protein powders on the market that I am sure it is really hard to know which one you should use for yourself, this is great for vegans’s looking to give it a whirl. 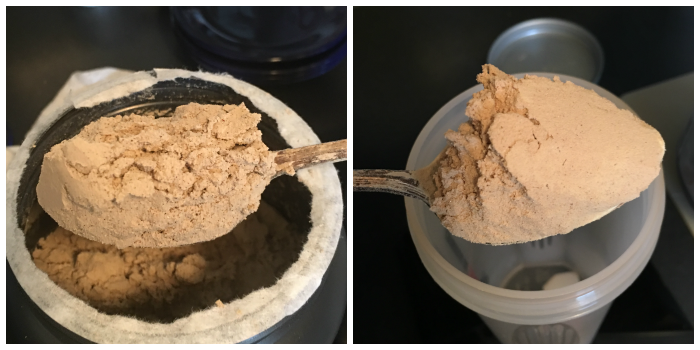 With so many protein powders out there, it’s good to see people putting in work to compare and recommend the better powders out there. Great review/contest! Interesting! I’ve never tried protein powder before. I’m not sure if I need it or not. I just try to drink plenty of water and take my vitamins. The timing’s perfect. We just ran out of protein powder. TBH taste is the number one thing we consider so it’s great that you broke it down like this for us! As a former user of protein powders, I was made aware of checking the ingredients. Some of the ones I was using had forms of sugars in them. Basically, defeating the purpose! Good head to head review of these protein powders! It is so hard to pick a good protein powder!! I have started to prefer the premade liquid ones, I never seem to mix them right. I always wonder about protein powders. It is tough because so many of them have ingredients I don’t like or a funky taste. Thanks for sharing your comparisons! I’m a fairly new vegan and need more protein in my life. Vega Sport looks like something that would be beneficial and I’m going to check it out. My husband used to make shakes with protein powders. I know that there is a lot of difference between flavours etc. This would be really helpful for someone who uses these regularly! I could totally use a little extra protein in my diet. Your comparison is super helpful in choosing one to try out! Thanks for this post! I only use vegan protein so this is helpful to have these reviews. I’ll definitely be trying Vega. I need to give Vega Sport a try. I’ve heard that plant based protein powders are just as good as animal based ones, and that they’re healthier for you. Thanks for this. Great review. The taste is what always determines what I buy if the health benefits are almost the same. I cannot stand horking down gross protein shakes. I have a protein shake every day. It’s part of my commitment to a healthier me. I do find several variances in taste, texture and what I call “mixability”. You know how it mixes. Some of the powders don’t mix well leaving that powder collection at the top. I will have to check out Vega Sport. Protein is something we get plenty of with all the food we raise, hunt and put up for the year. For those who need to take a supplement I can see where this would be helpful and beneficial. I definitely do not get enough protein in my diet. Fact. I would be interested in trying the Vega Sport because it seems like an easy way to up my protein intake.